A shipping container is a large metal box used in storing and transporting cargo across the world. It has the strength to withstand use. These containers are huge reusable steel boxes utilised in intermodal shipments. 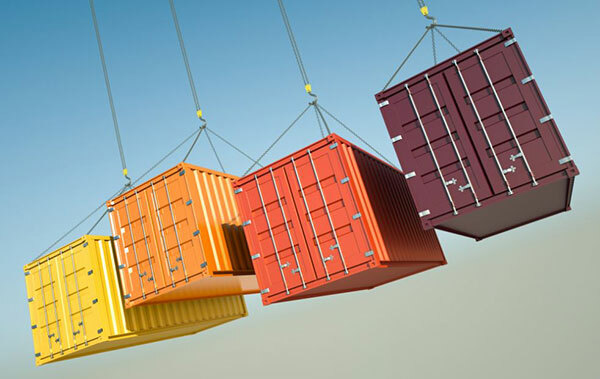 The word “container” or “shipping container” is used interchangeably in international shipping trade lingo and is also synonymous with “intermodal freight container,”When a container can be moved from one mode of transport to another without having to unloading and reload it is referred to as intermodal. As a reusable transport and storage unit, freight containers are ideal to move products and raw materials from one region or country to another. Containerisation ensures safety of the cargo and has made possible large cargo capacities.These containers have played an important role in revolutionisingcargo transportation across oceans. Over the last decade, there has been a significant increase in the use and demand of shipping containers not only in Australia, but across the world as well. This has also prompted companies to manufacture different types of containers suited to a variety of cargo and longer distances across the world. Shipping containers come in different sizes such as 10’ 20’, 40’ and more, and varieties like refrigerated etc. They are largely made from steel and have closed-tops with hinged doors. Corrugated walls on the top and bottom surfaces are welded to the rails and end frames. Specialized shipping containers are available to suit different specifications. Among them are spacious high cube containers (extra 1’in height)to standard shipping containers, side loaders, tunnel-containers, open tops, pallet wides, double door as also temperature controlled containers. These shipping containers with different features and dimensions meet the requirements of various types of cargo. While some companies prefer to buy shipping containers for their business operations, others choose to hire them as per their freight needs. Regardless of what your requirement is, you need to be assured that the container/s you purchase or hire are strong and sturdy enough to hold all the goods that need to transport. At Container Coyou can get the best containers on sale or on rent. For more information, feel free to call us at 1300 570 891. You can also get an obligation free quotevia this page.